Address: Shop no 1 Ground Floor Megh Ratan CHS. Ltd Junction of Tilak Road, &, Derasar Ln, Ghatkopar East, Mumbai, Maharashtra 400077. Offers a relaxed and unique dental care experience, coupled with the highest standards of dental treatments. Dentistry absolutely need not to be anything less than a pampered pleasant experience. 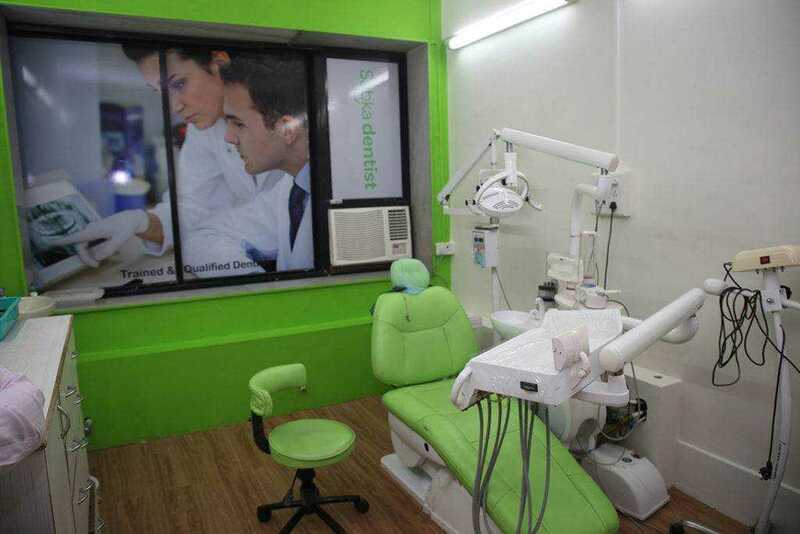 Dental treatments in Ghatkopar at Sabka Dentist dental clinic confines in a calm surrounding and, will amaze you with how painless and fast most of the modern dentistry is! At Sabka Dentist, our aim is to provide good oral health and create beautiful smiles. In the process of achieving this, we provide an excellent implant, preventive, restorative, and conventional dentistry. Our commitment to these goals provides you with unparalleled service with the highest standards of dental hygiene in a comfortable and pampering environment. We know you will be delighted, not only with the treatment but with the way you are treated. Here you will find a welcoming ambiance with warm, friendly staff and total transparency. All dental treatments from dental crowns to major smile makeovers; a wide range of dentistry procedures and full mouth dental implants; everything is available under one roof! Well trained and specialized dental team constantly staying updated through continuing dental education. State of the art treatment techniques and instrumentation. Value for money treatment options and costs. Priority treatment completion at no extra cost for time-bound patients. If you are looking for any type of dental treatment like metal free crowns and bridges, veneers, dental implants, tooth whitening, implant dentures, smile corrections, gap closures, fixed teeth, root canal treatment, gum surgery, kids dentistry, laser dentistry, gummy smile correction, wisdom teeth extractions, dental X-rays, etc., we are the ideal choice for best dentists for dental treatment in Mumbai, India. How sugar-free chewing gum will help you? How to encourage children for good oral health? Are you using the right dental products? How to maintain good oral health in today’s fast life? © 2018 Sabka Dentist. All rights reserved.